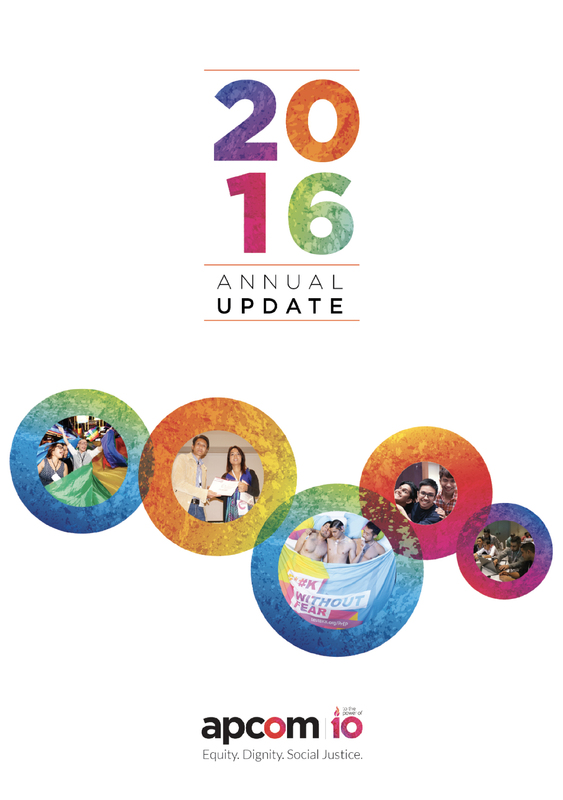 APCOM is proud to release our Annual Report 2016, detailing the contribution our activities throughout the year made towards improving the health and rights of the communities we serve across Asia and the Pacific. The report showcases our efforts in advocating for sexual health services, cultivating an enabling environment, generating and sharing strategic information, and building a cadre of advocates at all levels throughout the region. 2016 was another busy year for APCOM, with our broad range of activities accelerating the impact of our vital mission. + We began rolling out our TestXXX campaign to other cities in the region. + We produced Gay OK Bangkok, an online drama series which cleverly engages viewers with the benefits of HIV prevention, testing and treatment as well as other health issues relevant to MSM. + We supported a range of initiatives designed to scale up access to PrEP across Asia and the Pacific. + We began an exciting initiative on research, capacity strengthening and advocacy aimed at young MSM in the Greater Mekong region. + In partnership with AFAO and APCASO we secured Global Fund support for an innovative programme that will work towards achieving sustainable HIV financing in Indonesia, Malaysia, Philippines, Thailand. + We continued building the capacity of community organisations across the region through our Jumpstart and MSA programmes. + We generated a range of publications aimed at helping our community partners bridge key gaps in their knowledge and skills. + We helped develop a new generation of community leaders through our IGNITE mentorship programme. 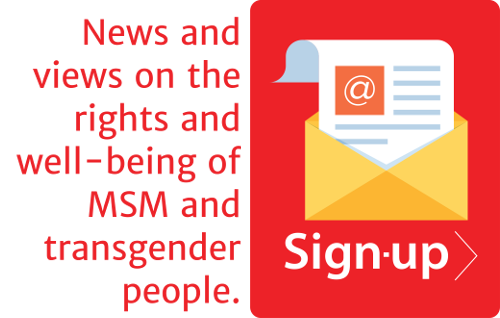 + We advocated for the needs of our communities at a range of important international events including the International AIDS Conference in Durban and the ILGA World Conference in Bangkok. + We launched our 10 year anniversary commemorations at a special reception at the British Embassy. We thank all our partners and funders for their contributions throughout 2016 and we look forward to working with all our supporters in 2017 to achieve equity, dignity and social justice for the people and communities we serve.